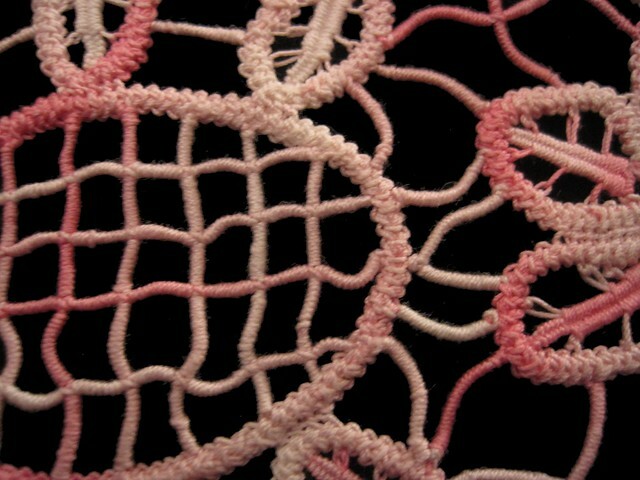 I made this piece of Romanian Point lace when I was teaching myself many years ago from an image i saw on the internet. It has lots of mistakes in it and things are a little wonky. But you know she loved it and had it her front room for many many years. Yesterday my father in law gave it back to me. Sort of a happy bitter moment happy thoughts of mom bitter becasue I will not see her in this life again. It means all the more to me becasue of her love in having it She use to have a small hand carved wood statue of Christ that sat on it, my husband gave her the statue. 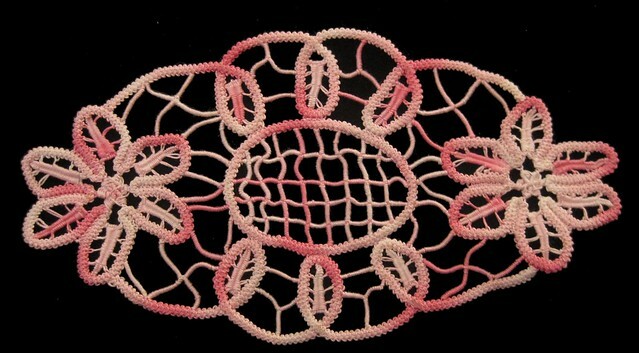 This doily is made with antique size 30 thread the filling stitches are also made out of the same thread. This isn't very large at all 7 1/2 inches by 4 inches. I think I gave it to her for Mother's day at least that is what I remember but memories are faulty. I still love the center of the flowers. I like the look of the spiral stitching. 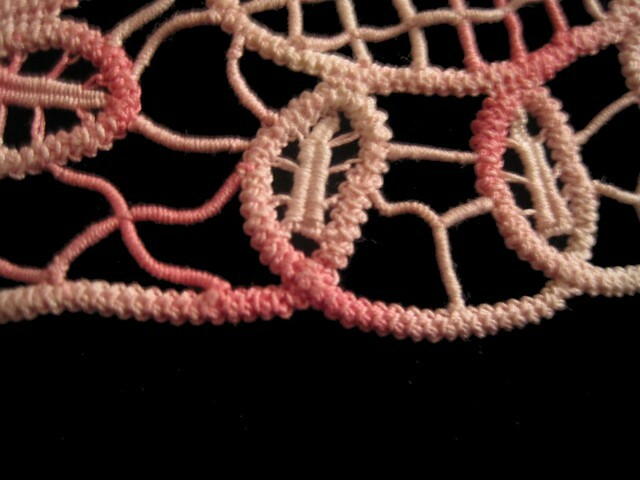 My biggest mistakes are in the area of the center of the piece my tension was off. Very lovely! I think you did great for a first time. I know your mama loved it. My mama loved everything I made for her. I miss my mama very much, also. 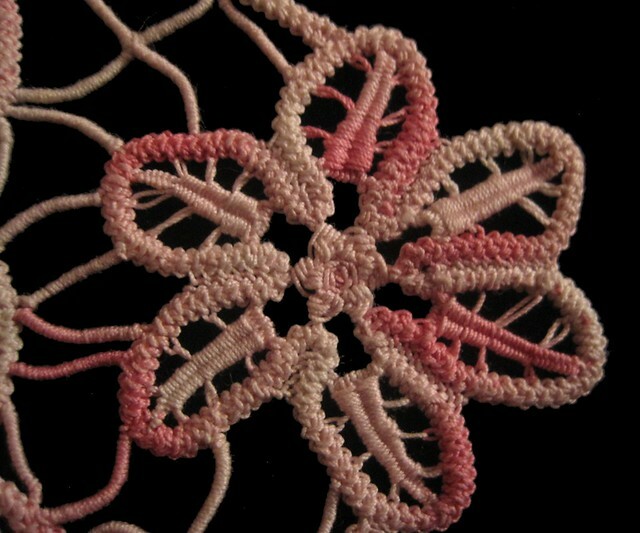 I just finished my first romanian lace project yesterday. It is just a small ornament. It didn't turn out too bad. But not the best. Your work is lovely and you give me lots of inspiration. I thank you for the tutorials you share with us and I am so happy that you were able to sell some of your patterns to Annie's Attic! thank you for your nice words. I am sure yours came out lovely.